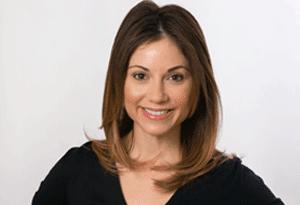 Monica Mazzei is a Certified Family Law Specialist representing clients in the Bay Area, with a concentration in San Francisco and Silicon Valley, throughout the litigation process and in mediation. She focuses her practice exclusively on family law and specializes in dissolution actions involving complicated valuation and financial matters, and complex community property and support issues, including international issues. Monica also negotiates and drafts cohabitation agreements, premarital and postmarital agreements for her clients. Monica works as a volunteer family court mediator in the San Francisco Superior Court. She also acts as a mentor family law attorney to the San Francisco Bar Association, Volunteer Legal Services Program. At Sideman & Bancroft, Monica offers flat rate billing alternatives to her clients. Prior to joining Sideman & Bancroft, Monica practiced family law at Morgan, Lewis & Bockius in San Francisco and before that at Freid and Goldsman in Los Angeles. Monica Mazzei is a Certified Family Law Specialist, certified by the State Bar of California Board of Legal Specialization. Monica was the co-chair of the San Francisco Bar Association, Barristers Family Law Section from 2009 through 2010. In 2008 and 2011, she received the Outstanding Volunteer Award for Public Service from the San Francisco Bar Association. Monica speaks frequently on family law issues to financial advisors and other professional groups. She is a member of the Family Law and the International Law sections of the American Bar Association and the San Francisco Bar Association. She is also a member of the Family Law sections of the Beverly Hills Bar Association, the Marin County Bar Association, and the San Mateo County Bar Association.